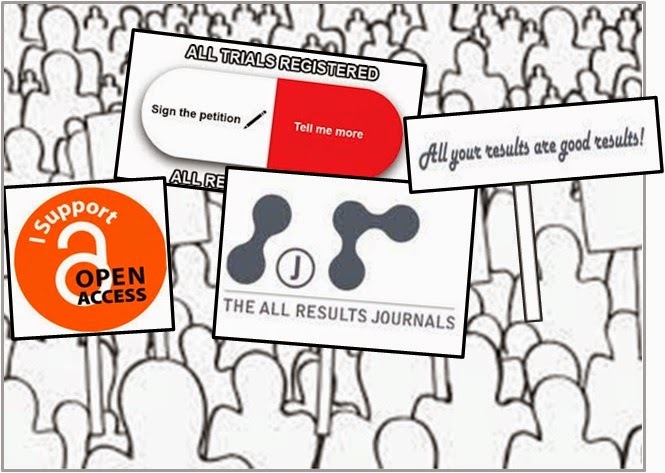 The All Results Journals: We still discuss the usefulness of negative results. Until when? We still discuss the usefulness of negative results. Until when? “Negative findings are a valuable component of the scientific literature because they force us to critically evaluate and validate our current thinking, and fundamentally move us towards unabridged science.” This affirmation has been recently published in a new editorial referring to the negativity towards negative results, many times motivated by an ever-heightening hurdle that scientists need to jump: to reach a high publication output with a high citation rate in order to win competitive grants to drive their research, move up the rungs and pay the bills. Because scientists are involuntarily finding themselves engaged in competition for positions and funding, many are choosing not to proceed with their non-significant findings that yield less scientific interest and fewer citations. Consequently, the amount of non-significant data reported is progressively declining (Fanelli, 2012). According to a theory of Jost and Hunyady, humans have an innate difficulty in overriding preexisting beliefs and when faced with the challenges of opposing current views with new research. Our own cognitive bias makes it difficult to muster up the strength to fight for the paradigm shift, especially because negative results are often associated with flawed or poorly designed studies, and thus might be viewed as a negative reflection on the scientist. Fortunately there are scientists dedicate to disseminating these negative findings in spite remaining largely unsuccessful in their efforts. An example of this is the Australian cell biologist Professor David Vaux, who recently published an essay regarding his own attempts to refute research and retract his work previously published in Nature, one the most influential scientific journal. In this essay he affirms that “Little did we know that instead of providing an answer to transplant rejection, these experiments would teach us a great deal about editorial practices and the difficulty of correcting errors once they appear in the literature.” Interestingly, shortly after Vaux was granted the retraction, Nature Medicine published a paper in support of the negative results. Publication of negative results prevents loss of time and resources to our colleagues, in line with the nature of science, as a collaborative discipline that it is. Not publishing negative results could be detrimental to the progression of science but when time is money, and research output is judged based on impact and citations, why waste the time? Even if negative results are just as useful as positive findings, they encourage good scientific practice and teach us to critically analyze our pre-existing thoughts and direct new avenues of research, unfortunately they do not attract the same citations. The All Results Journals and other magazines have been created specifically to publish the ‘rejects’ and to provide new ways to provide access to negative data. Although it is still difficult to promote the publication of such articles, we hope scientific culture changes with the efforts of all of us. Only then can we work towards an improved scientific paradigm.